Perfect fitting in a Ford Probe 24v. Fast international delivery. Excellent service, battery arrived exactly when it was supposed to. It was well packaged and with concise instructions if needed. First class. Will certainly use this company again. Fast delivery, well packed, fits perfectly. These days it is quite dfficult to find a low profile battery that fits Ford Probe with unmodified battery holder. This one fits well. Thank you. Excellent service. Received within 24 hours of placing order.Packed safely and with covering paperwork. Arrived next day. No problems fitting the battery and very good value. Very good quick service. Will use again. Fine. Important height problem with the Probe. 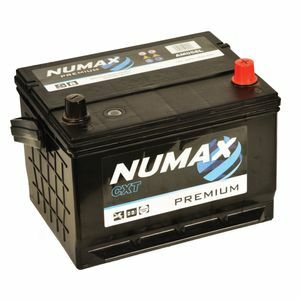 This battery is one of the few which will fit and allow the bonnet to close. Good product. I would never have bought a specialist battery from Halfords, but if I had it would have cost almost £100 more (and probably taken a week to order in)! Quick service despite adverse weather conditions. Will use again. Delivered as promised the following day. Ordered Battery on line about 4PM with standard postage and it was delivered next day around 2.30PM. (Under 24hrs.) It came well packed and protected and was a perfect fit under the bonnet for my Ford Probe 24V. It took 10mins to fit and was ready to use. car started first time and every time after that. I highly recommend Tayna for their reliability and quality of their low cost products.